This is the most fight this expansion. Hell, it’s the most fun fight to date. I’m not being sarcastic for once. This fight is so, SO fun. 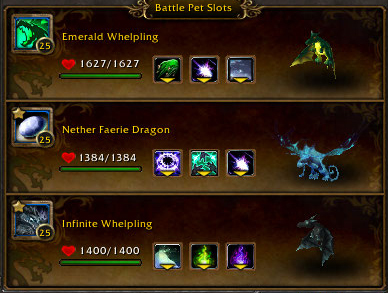 Since the pets we’re facing are all flying battle pets, those dragons with magic abilities are getting some serious airtime. Yep, again. 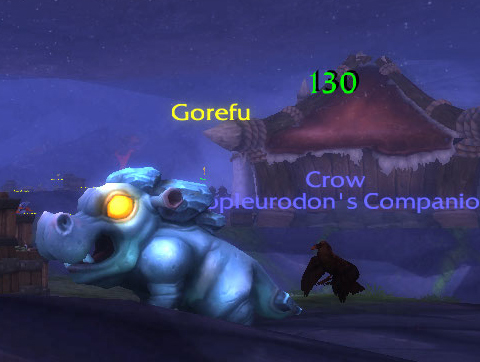 Dragonkin pets with the Arcane Storm/Mana Surge combo are pretty nice here too, if you’d prefer. 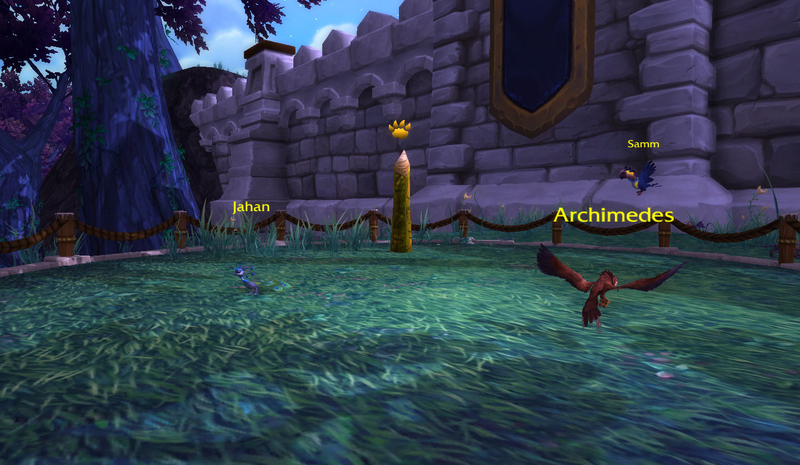 The first pet, Jahan, will even cast Arcane Winds on your behalf if you’re lacking on the combo. If you don’t have any Dragonkin with Magic damage, try pets with just magic offense. 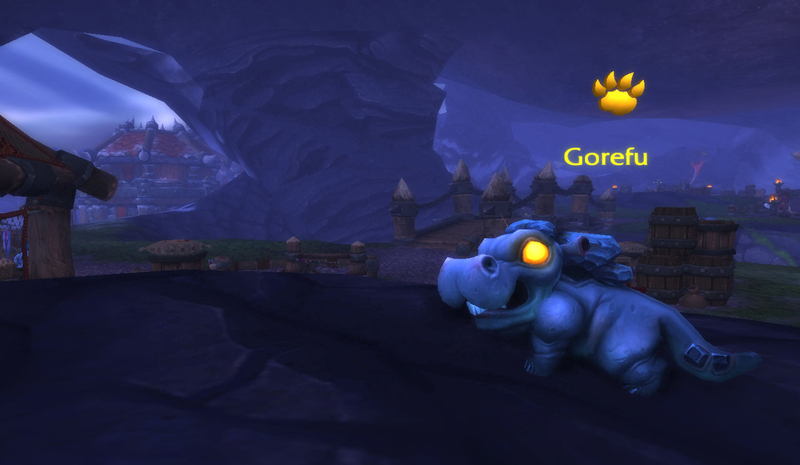 Pets with a Barrier, like the Coilfang Stalker, even make it so you could carry a lowbie here, though the first pet has some serious AOE so I like to err on the side of lvl 10+. This fight is completely straightforward, except for one thing. And this is what makes this fight SO fun. 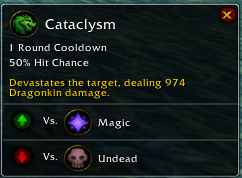 Because of the interaction of my magic-damage dealing Dragonkin pets with their Flying targets, even if they crit every attack the Flying pets won’t prevail here. In the meantime, your pets get to deal out incredible, ridiculous damage. It is absolutely staggering, even when you’re not critting. 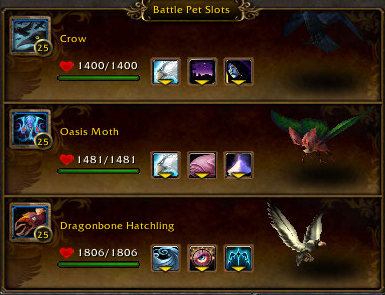 If you don’t have the dragonkin pets with magic damage here, I’d swap for heavy-hitting Magic battle pets before just Dragonkin. The increased crit will be absorbed by a Magic battle pet’s family ability to a certain extent. When watching the video, please know that I tried to contain my glee. I honestly did. 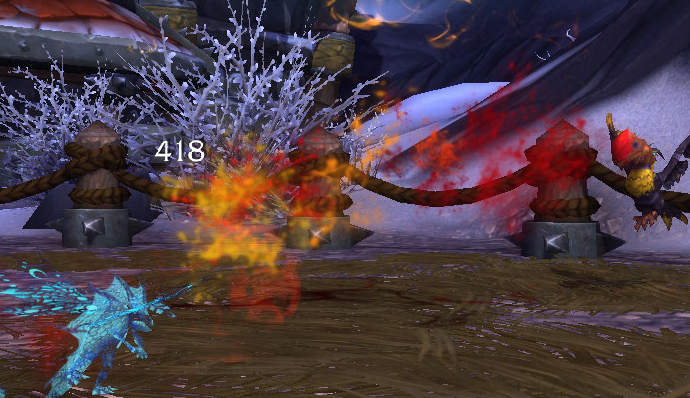 Since this fight is in your Menagerie, it’s like Santa comes once every couple of weeks. 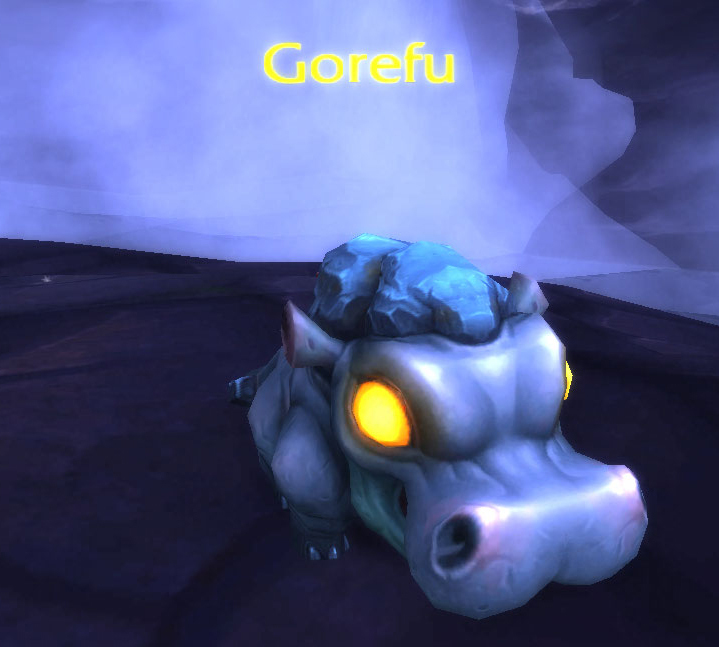 This entry was posted in Menagerie and tagged menagerie, Warlords of Draenor on September 29, 2014 by Liopleurodon. 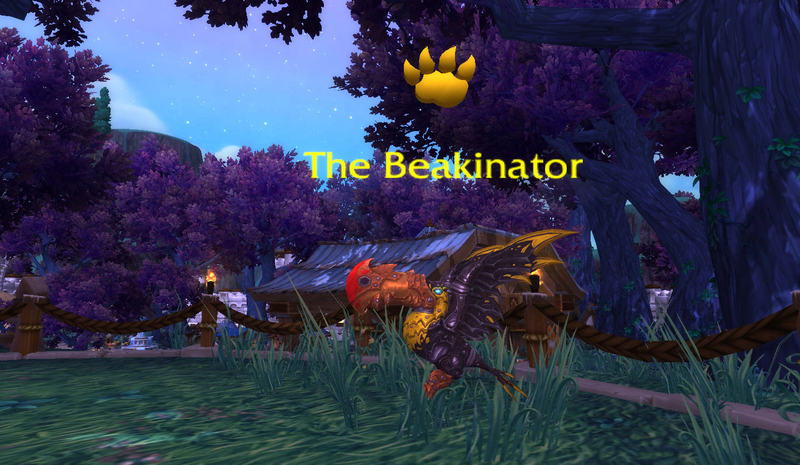 The Beakinator is one of the many rotating challenges you can face in your garrison’s Menagerie. He is a Flying battle pet, with his attacks split between Flying and Mechanical damage. But that Mechanical stuff is a doozy. Because Beakinator uses a good amount of flying damage and is a flying battle pet, yet again we’re using our magic damaging dragons. In terms of swaps, the best option not shown here is the Emerald Proto. The dragons with the Arcane Storm + Mana Surge combo, like the Nexus Whelpling, are poor choices here. The most important thing in the Infinite Whelpling’s moveset is the Darkflame ability, which is shared by a few other battle pets. I’d pick dragonkin here if at all possible but the Dark Phoenix may be OK in a pinch. 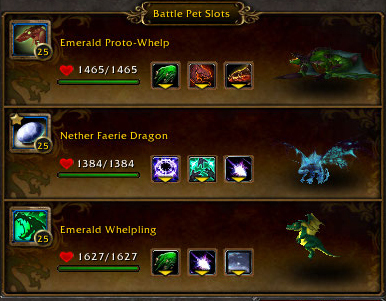 I would definitely recommend sticking with either the Nether Faerie or Sprite Darter in the 2nd slot, because Life Exchange is so extremely useful against single-pet fights. The scariest bit to avoid, just looking at Beakinator’s moveset, seems to be Wind-up. 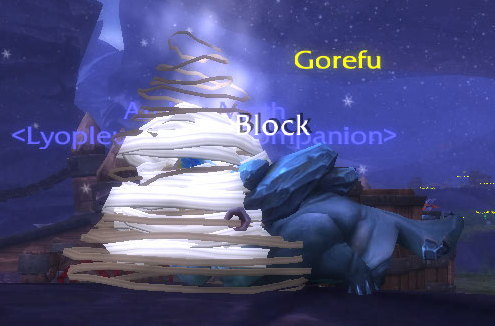 While it is a LOT of damage to take at once, our pets all have heals and due to the nature of Wind Up and our reduction from the Dragonkin racial for Alpha Strike, we’ll be alright with that. Actually, no. The main threat here is Touch Of The Animus. It’s a per-hit reflexive heal debuff. This is why the heal-preventing Darkflame on our last pet alive is so important. 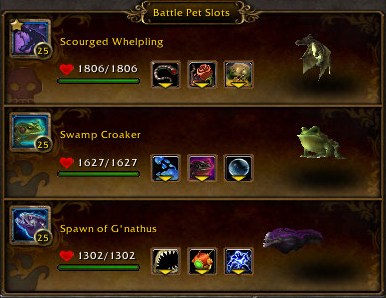 Before we get down to that battle pet, we can just swap out whichever pet gets that debuff. Because Alpha Strike is 2 hits, and due to the Boss buff, each round we stay in with that debuff will heal Beakinator for the equivalent of 500+ damage we’ll have to do to take those heals back off. This is also why those multi-turn magic abilities, fairly common among the magic-damaging Dragonkin battle pets, are out. You need to be able to swap out ASAP, and though those abilities do excellent damage they lock you into the attack for far too long. Beakinator is the objective of the first-tier Menagerie quests, Scrappin’ for Horde or Battle Pet Roundup for Alliance. I believe he may also be hungry for Froot Loops. They’re Grrrreat? I may be stretching here. This entry was posted in Menagerie, Uncategorized and tagged menagerie, strategy, Warlords of Draenor on September 25, 2014 by Liopleurodon.